Having regular dental examinations with a dentist is an integral part of ensuring oral health, at any age and stage of life. 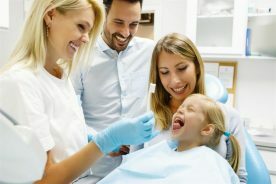 Most dentists recommend dental checkups at least once or twice a year for the whole family, depending on oral health and any issues that may arise. Only your dentist can detect and diagnose tooth and gum problems and an essential part of any oral exam is screening for oral cancer. This disease can affect the throat, tongue and soft tissues of the mouth, and as with any health issues, problems that are detected early are the most likely to have favorable outcomes. Contact Us For A Dental Check Up! 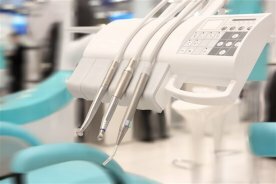 WHO SHOULD HAVE DENTAL EXAMS? A vast majority of adults show signs of gum disease, or “periodontal disease”, and don’t even know it. 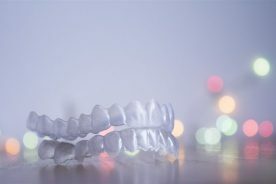 Many individuals with full dentures believe they don’t need to have regular dental checkups because they have no teeth, when in fact, oral cancer can affect anyone regardless of the presence of teeth or not. Children as young as 6 months of age can benefit from regular dental exams. 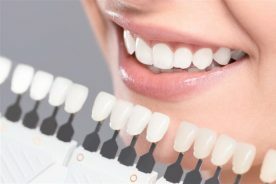 Periodontal disease is a bacterial infection of the gums, connective tissue, and bone that support the teeth and anchor them in your jaw. Bacteria are present in everyone’s mouth at any given time, they live in plaque. 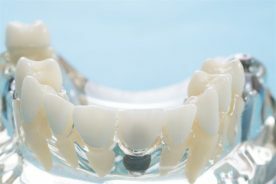 If the plaque is left to sit on the tooth surface it hardens into tartar, or calculus. 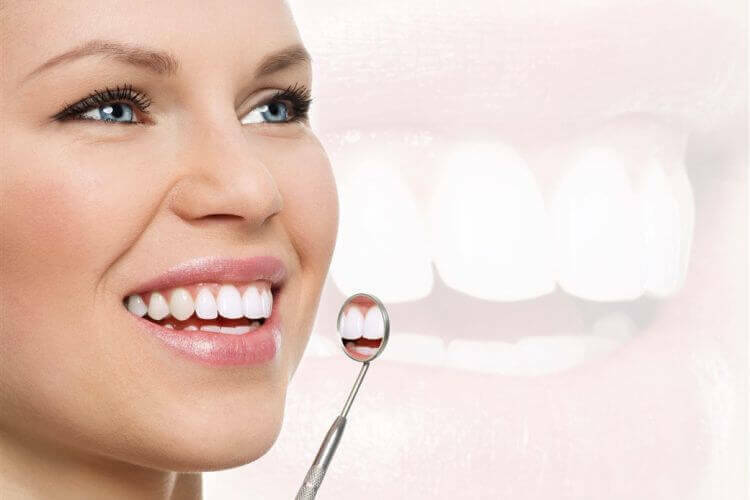 The early stages of periodontal disease is called gingivitis and, if left untreated, the tartar can begin to irritate and erode healthy gum tissue eventually forming defects between your tooth and gum tissue. These “pockets” can allow for erosion of the supporting bone around your teeth which can become loose and even fall out if left untreated. This more advanced stage of gum disease is called periodontitis. 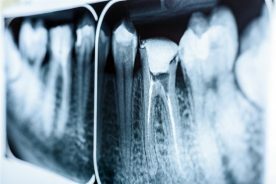 HOW CAN I DETECT GUM DISEASE? Regular brushing and flossing two to three times a day is ideal. Teach your children how to properly brush and floss; develop good dental hygiene habits to last a lifetime. Using a soft bristled brush, hold your brush at a 45 degree angle to the gum and gently clean where the gums meet your teeth. Flossing between your teeth at least once a day helps remove bacteria and food residue that your brush cannot get. Eat a balanced, low sugar diet which includes a variety of crunchy fruits and vegetables that can help scrape your tooth surfaces in between brushings. 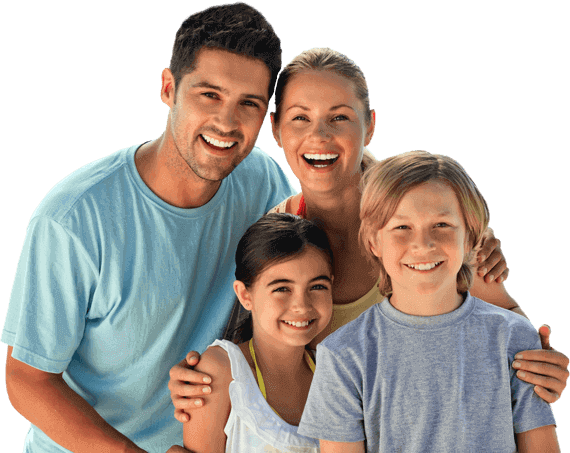 Visit Clearwater Dental Clinic regularly with the whole family for checkups and professional cleanings as recommended by your dentist. 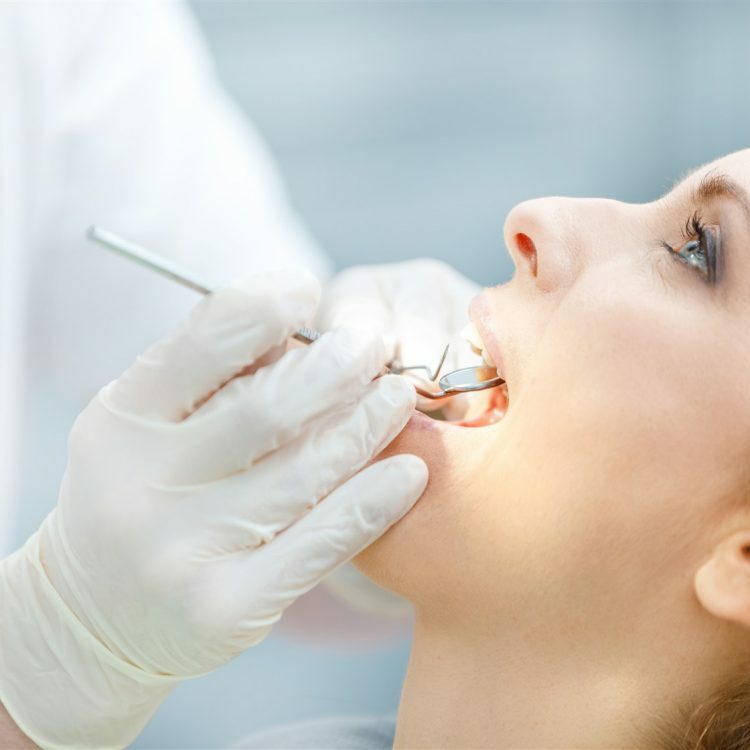 Regular checkups and cleanings go hand-in-hand toward maintaining good oral health. 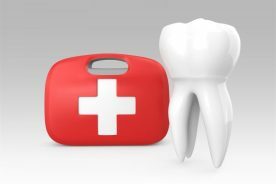 WHAT CAN I DO IF I THINK I HAVE PERIODONTAL DISEASE? If you think you may have periodontal disease come see us in Edmonton and we will take care of you. 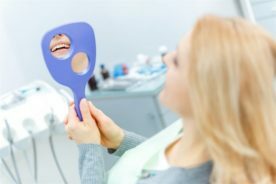 In its early stages, the treatment for gum disease involves scaling your teeth to remove the plaque and tartar and completing a comprehensive individual assessment. In most cases, that is all that is required to stop the advancement of periodontal disease. 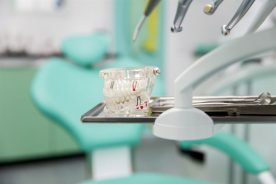 If the disease is not detected until its more advanced stages, or, if the gum disease progresses in spite of the above efforts, you may need to see a periodontist. Don’t wait until it hurts, periodontal disease is preventable with regular checkups. Sealants and fluoride are also great preventive treatments that help protect the teeth, come see us for more information and to get started on that healthy happy smile!